At noon today, DLNR Division of Forestry and Wildlife (DOFAW) reopened most lands under its jurisdiction to the public following the threat of Hurricane/Tropical Storm Lane. 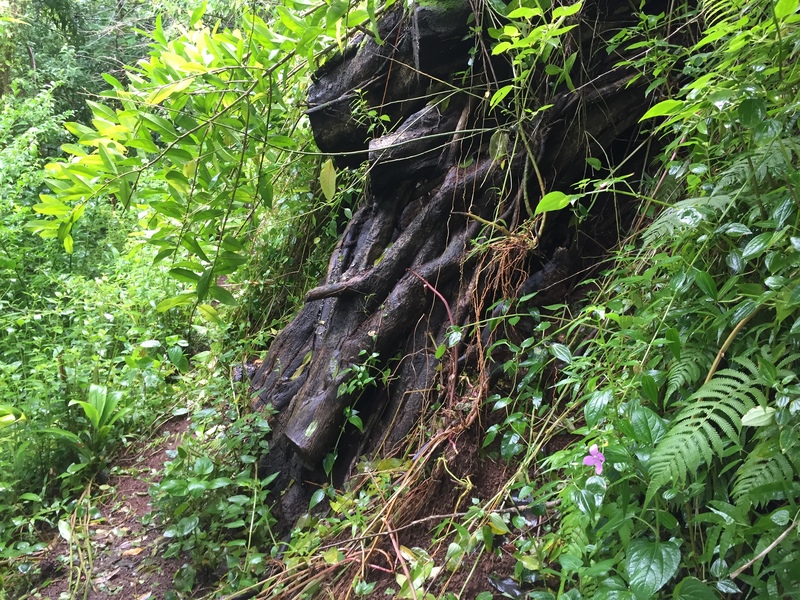 Although lands have been reopened, DLNR advises some caution and urges the public to report any hazards found on trails. DOFAW Administrator David Smith said, “Assessments of conditions and any repairs needed will be ongoing over the next several days and that while areas may be opened, people are advised to use caution due to storm impacts and hazards that may be present, including but not limited to downed trees, erosion, flooding, strong currents, and hazardous road and trail conditions.” DOFAW and State Parks staff conducted initial damage and hazard assessments on Saturday. It may take a few days for all closed signs to be removed. 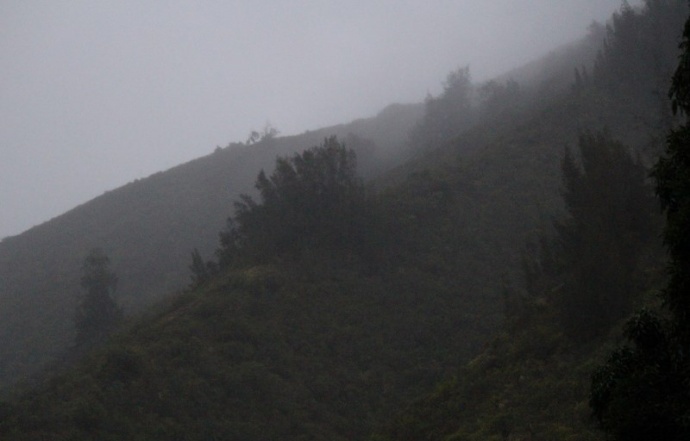 On Maui, Iao Valley State Monument will remain closed until tomorrow due to the high flows of the Wailuku River. 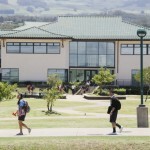 On Hawai‘i island all DOFAW properties except Keanakolu cabins, Ainapo cabin, Waimanu trail and campsites are reopening. On Kaua‘i all DOFAW lands will reopen tomorrow (August 27, 2018). Also on Kaua‘i, Ha‘ena State Park and Nāpali Coast State Wilderness Park remained closed because of flood damage from back in April. 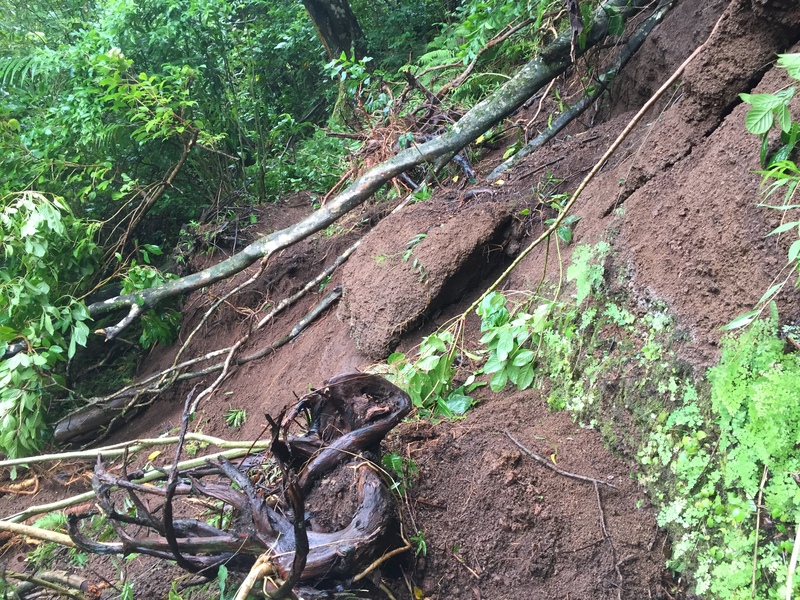 While Lane had little impact on O‘ahu, a small landslide on the Moleka Trail on the upper east edge of the Makiki Valley shows one of the obstacles or dangers forest users may continue to encounter. 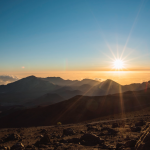 Hikers can help report any damage or hazards they may spot by using the trail report form found at the bottom of each trail description on the Na Ala Hele website listed below.